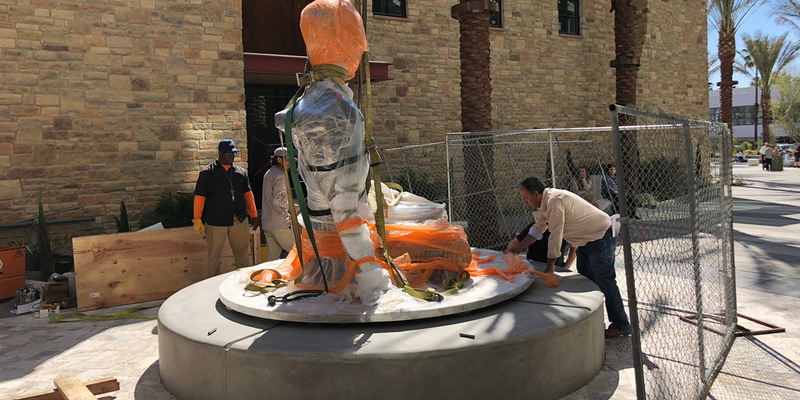 The unveiling of this new public installation on March 29th in front of the Kimpton Hotel "The Rowan" in Palm Springs was a huge success. If you were unable to attend the event make sure to check her out and post a picture at #isabellePS. 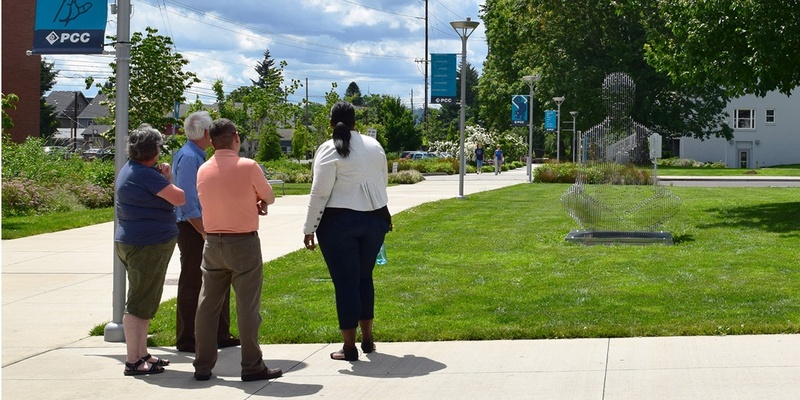 The sculpture site is the walkway from the plaza (between Starbucks and the Kimpton Hotel) towards Museum Way. 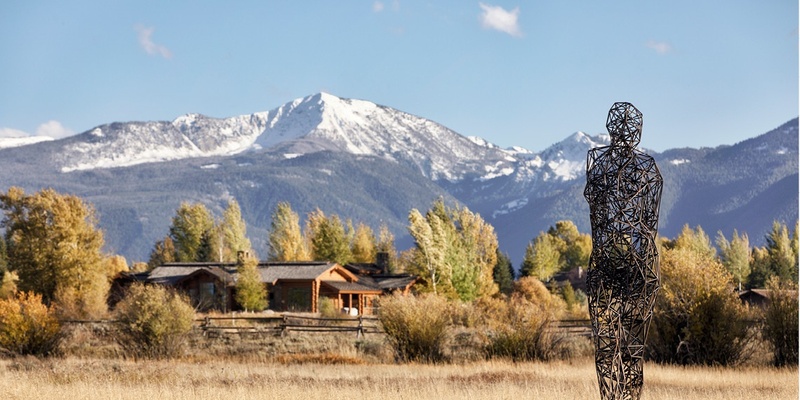 His public sculptures have become landmarks in eleven states in the US as well as internationally. 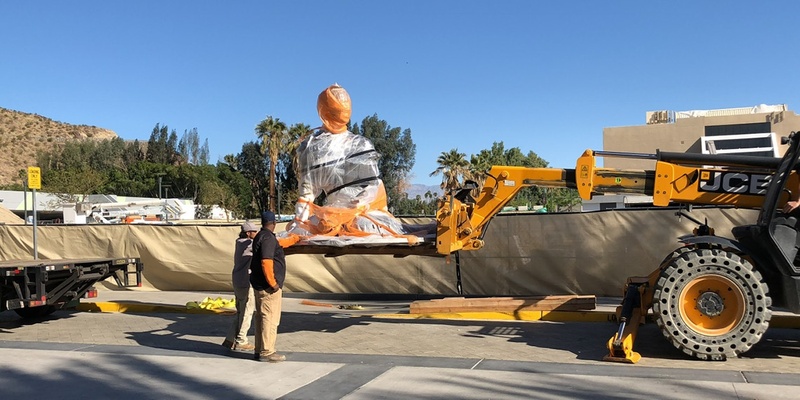 On March 29th, the renown Quantum Physicist turned sculptor, Julian Voss-Andreae personally unveiled his latest monument right here in Palm Springs. Developer Michael Braun of Grit Palm Springs felt that Voss-Andreae’s vision would be a perfect match for his company’s commitment to art in public spaces and to bring an international caliber of talent to downtown Palm Springs. 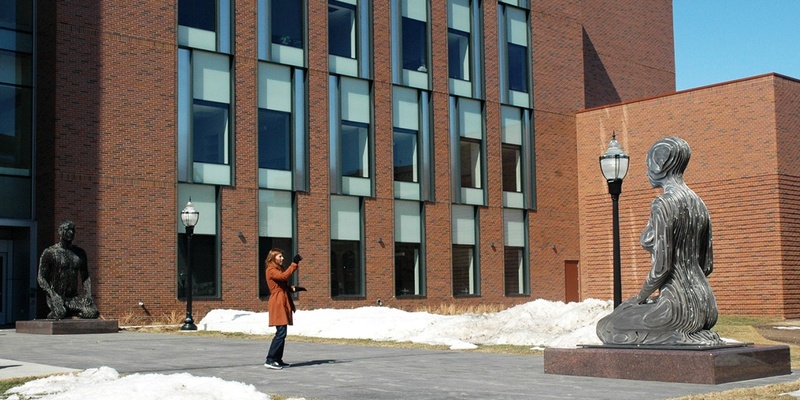 The unveiling of the over a year in the making, larger than life one-of-a-kind sculpture was a huge success. Approaching the sculpture from the main plaza she is almost invisible, materializing in front of the viewer only at closer proximity. This phenomenon of the disappearing angle is reminiscent of a desert mirage and it invites viewers to discover the visual complexity of the work as an allegory of the cultural diversity and the multi-faceted community that is Palm Springs. This is the first of several collaborations of Michael Braun with the Palm Desert gallery Hohmann Fine Art for the downtown development, with the next unveiling planned for May of this year. ABOUT THE ARTIST: Julian Voss-Andreae started out as a painter in his youth before switching to physics. He studied at the universities of Berlin and Edinburgh and did his graduate research participating in a seminal experiment probing the foundations of quantum physics in one of the world’s leading research groups at the University of Vienna. His science training enables him to take advantage of the latest technologies to achieve his artistic visions. He feels that contemporary technology is ushering in a new era for sculpture, comparable perhaps only to the invention of metal casting during antiquity. 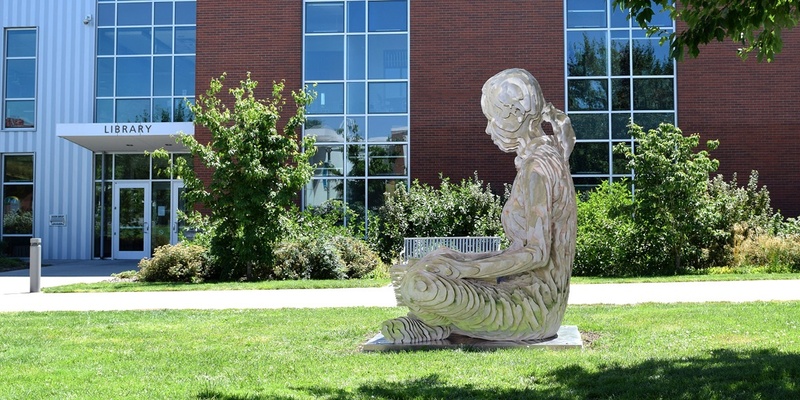 In his work he draws cutting-edge approaches from very diverse fields to reimagine the ancient art of sculpture. His goal is to convey elements of our spiritual essence and open our eyes to the miracles in the underlying nature of reality. 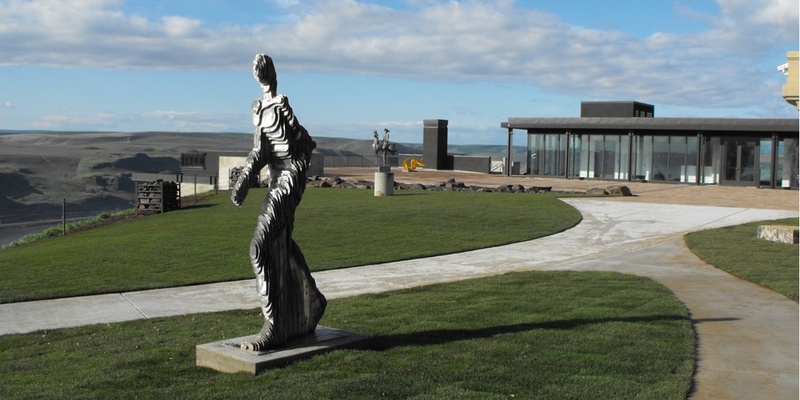 Voss-Andreae has been commissioned to create public sculptures in Minnesota, Florida, Texas, Georgia, Pennsylvania, Maryland, New Jersey, Indiana, Oregon and Washington. 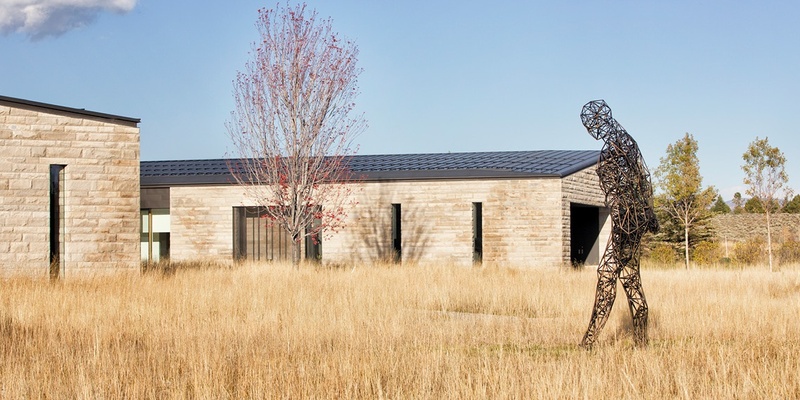 His sculptures are in private collections all over the world. 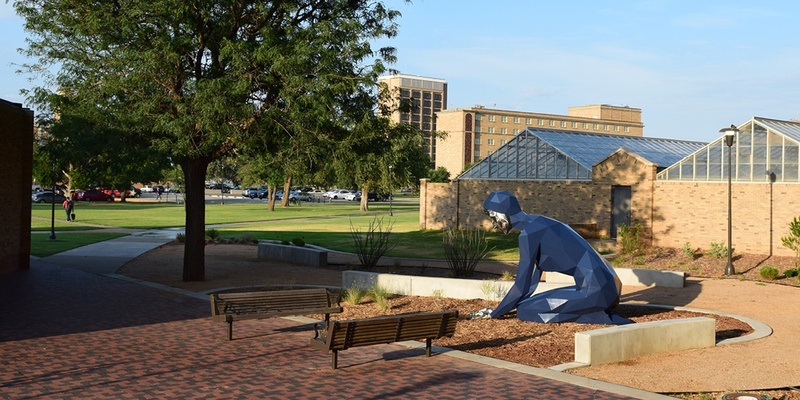 He recently won the coveted CODAWORX award for education in public sculpture for his installation “Spannungsfeld” in Minneapolis, MS.